Sprinkle this gorgeous Team bride Confetti to finish your elegantly glam table setting! The rose gold accents will glimmer away matching the rest of your stylish Team Bride party. All that""s left to do is to dance the night away! 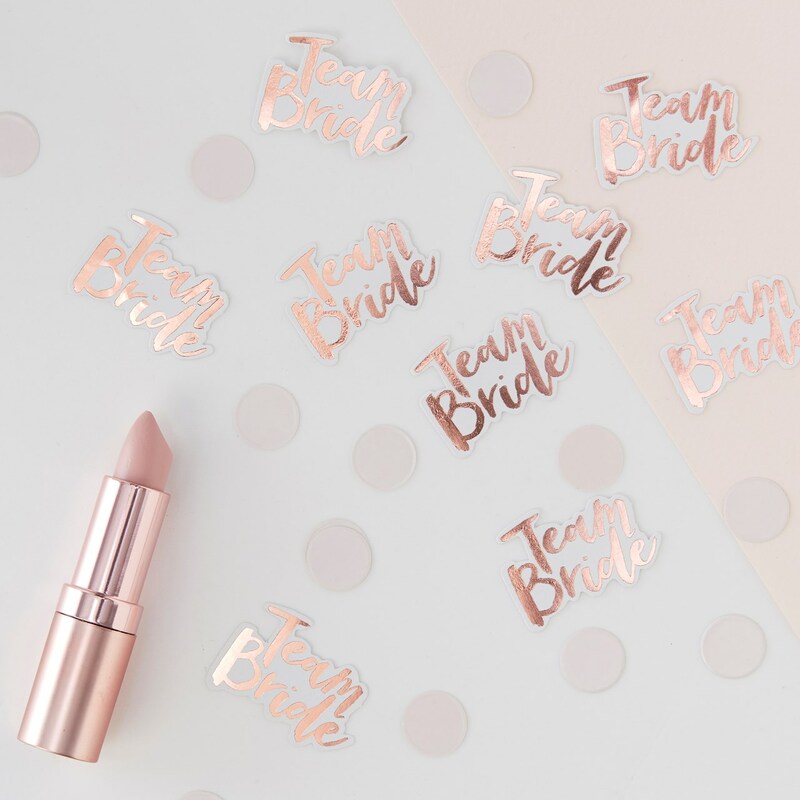 The Team Bride confetti is white with rose gold foiled ""Team Bride"" design. Each pack contains 14g of confetti measuring: 35mm (W) x 30mm (H). Not suitable for children under 3.